CALI Europe (Crédit Agricole Life Insurance Europe) is a European life insurance company belonging to the Crédit Agricole Group in Luxembourg. The company is a subsidiary of Crédit Agricole Assurances, a market leader in the French insurance sector and the European banking insurance industry. Established in the Grand Duchy of Luxembourg since 1998, CALI Europe markets its products from Luxembourg and through its subsidiaries in France and Poland. Ranking based on turnover. 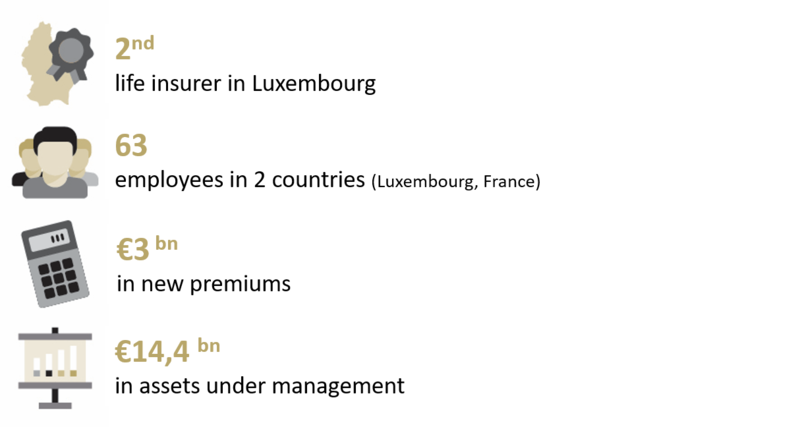 Source: 2018 statistics from the Association des Compagnies d’Assurances et de Réassurances du Luxembourg (ACA). CALI Europe is a member of the Association des Compagnies d’Assurances du Grand-Duché de Luxembourg (A.C.A. ), with which it has signed a quality charter, and is approved by the Commissariat aux Assurances in Luxembourg. The subsidiary of CALI Europe in France is also a member of the Fédération Française de l'Assurances (F.F.A.). Download our company brochure in French.